3rd Annual "Taste of Mackinac"
Huron Avenue / LOCATED ACROSS FROM CONKLING HERITAGE PARK! 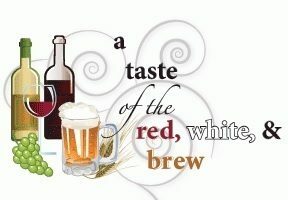 Beer Tasting for Beer Lovers & Wine Tasting for Wine Lovers! Food Samples Galore from 11:00am - 2:00pm Enjoy the tastes from Mackinac Island Brewhouse & Mackinac Island Winery Beer Tasting for Beer Lovers & Wine Tasting for Wine Lovers! Mackinac Island Brewhouse; is a beer lovers dream come true with Over 300 Selections of Michigan Microbrews & Craft beer? to choose from Mackinac Island Winery features over 400 Michigan Wines Whether your appreciation is for a rich full bodied Red Wine to a Light fruitful White Wine. There is enjoyment for every one to experience! Event will be located at Mackinac Bay Trading Company across from Conkling Heritage Park on Huron Avenue.